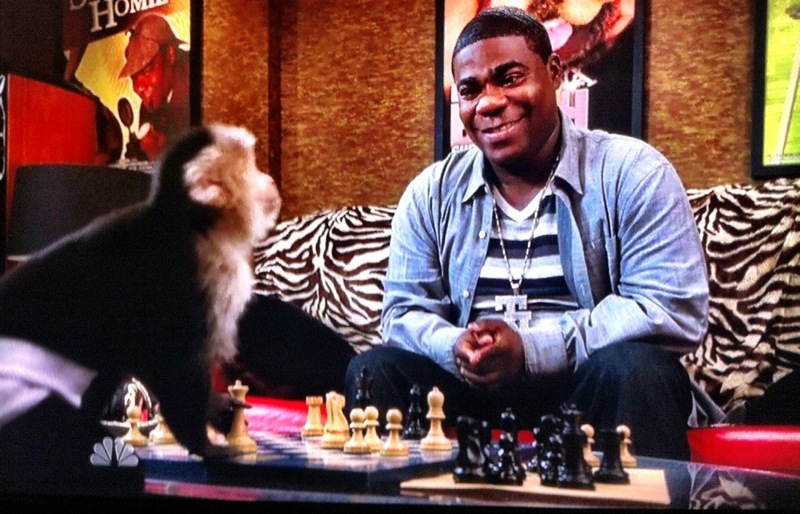 “30 Rock” hit a bit of a rough patch at the beginning of 2012. However, it bounced back for its seventh and final season and has turned out some of its best episodes in years. Most notably, this season saw Liz Lemon (Tina Fey) finally tying the knot in a wedding that was both moving and wacky in a way that only “30 Rock” could deliver. “30 Rock” is one of the best heirs to the sitcoms of the 70s with its fearlessness in tackling race, political, and gender issues for huge laughs. In fact, it ended the ridiculous “are women funny?” debate with a monkey wearing a suit. No other show on TV can deliver so many jokes in such a short span of time. “30 Rock” might be winding down, but the many doors it opened for the flood of single-camera comedies that have emerged over the years will always be present. “Archer” is far and away the best animated show on TV. A spy spoof that puts “Austin Powers” to shame, “Archer” proved that its spectacular first two seasons were just a warmup for how perfect season three would be. Few comedies currently on TV have plots as smart and intricate as “Archer” does, whether the bumbling heroes are trying to get rid of a dead body or fight villains in outer space. What makes “Archer” so unique is the neat little backstories it gives to all of its characters, which expanded in ever satisfying ways this season. For example, Archer’s constant literary references suggest someone much smarter than he acts. “Archer,” however, never has to hide its sophistication. It continues to be one of the sharpest satires currently on TV. I was a late convert to “Homeland,” and I am not ashamed to say that I caught up in less than one week. “Homeland” hit a bit of a rough patch this season. However, those who immediately jumped ship need to learn a thing or two about TV history, and that “Homeland” is in the same company as some pretty great shows that have had faulty seasons and then bounced back. Even in the implausibility, there has still been plenty to love about season two. The show made a pretty risky story move early on and then built it up to an interrogation scene that was one of the most finely acted and scripted in TV history. However, this season went through a few big bumps in the road. One was literal (a car accident that was worth it only for allowing actress Morgan Saylor to shine) while others were illogical (see: Skyping with a terrorist on a Blackberry). Yet, I was still compelled to watch “Homeland” from week to week, and discuss with every other fan I knew. Many other shows have gone through rough patches early on, and I have faith in where next season will take us. The funniest show currently airing on network TV (while another one is still in an overlong hiatus) is also the most underrated. “Happy Endings” took the concept of “twenty/thirty-something friends” in a big city to insane new heights throughout seasons two and three. It does self-referential better than most shows on TV, and it knows when to be over-the-top and when to be human. “Happy Endings” doesn’t just succeed in its endless mocking of sitcom tropes, but also how natural the ensemble feels together. Often, it just feels like a tight-knit improv group going crazy in whatever direction they desire. Plus, it has my favorite married couple on TV (Brad and Jane) and the most hilariously non-stereotypical gay character since “The Sarah Silverman Program.” In the vein of “30 Rock,” “Happy Endings” could probably cram more funny into five minutes than most shows ever could in an entire season. I think it’s the pronunciation that sold me. 2012 was the year I got back into fantasy. “Game of Thrones” was one of the many shows this year that helped push the medium forward, as it pushed its own storytelling ambitions in new directions and away from its source material. It truly blurred the difference between film and television with the episode “Blackwater,” which contained a battle as epic as anything in “The Lord of the Rings” trilogy. What I always liked best about “Game of Thrones” is that even when it travels into the territory of dragons and the undead, it still remains incredibly grounded, as this story is much more of a political allegory than a battle of good versus evil. If “Game of Thrones” has proved anything to me, it’s that moral ambiguity is way more interesting than battles of absolute good against absolute evil. Without it, where the hell else would we get amazing characters like Tyrion (Peter Dinklage) and Cersei (Lena Headey) Lannister, Theon Greyjoy (Alfie Allen), and Joffrey Baratheon (Jack Gleeson)? Well, I think I know how everyone feels about Joffrey. What more can I (or everyone else) say about “Breaking Bad” that I haven’t said already? Probably not much, but I don’t mind reiterating. As it prepares its swan song, “Breaking Bad” has proved itself more brilliant than ever. I’m still waiting for Vince Gilligan to top the season four finale, but for now I can live with a train robbery and a meth-induced montage. “Breaking Bad” has always been excellent at keeping us at the edge of tragedy, and never letting us know when we are going to go off the cliff, and this past season was no exception. The first half of season five found Walter White on top of the world, with no worlds left to conquer. He had gone so far off the edge that at times, it was hard to tell whether or not he wanted to back away. All I know is that any barriers of safety for the audience that once existed have all evaporated. 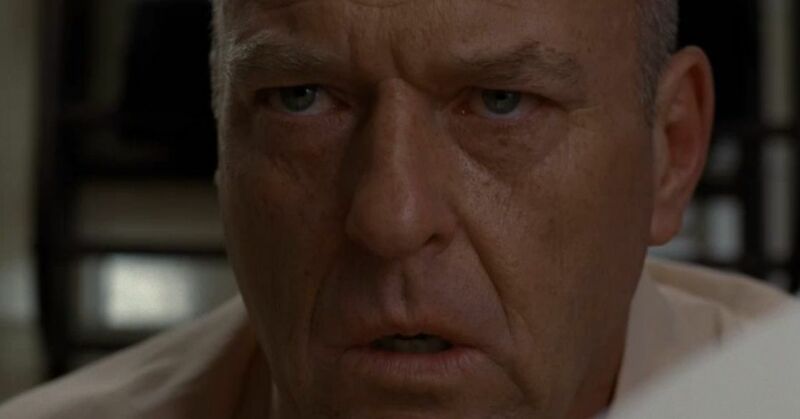 I have no idea where “Breaking Bad” is headed for its last few episodes. All I know is that it still has a lot of ground to cover, and it shows no signs of letting any of us down. “Mad Men” now carries the honor of being one of few shows to peak during its fifth season. When most are winding down, “Mad Men” rediscovered its mojo in new, exciting, and profound ways. It all added up to the best drama of the year. The writers of “Mad Men” are like few others, and they went into the surreal this season, catching Don in the middle of an elaborate dream while Roger experienced an LSD-fueled reality. Supporting actors such as Christina Hendricks and Vincent Kartheiser gave beautifully nuanced performances. Meanwhile, Michael Ginsberg (Ben Feldman) was a welcome new addition to Sterling Cooper Draper Pryce. The ad executives faced unimaginable tragedy even in a season filled with dark humor (one of the best, yet saddest, gags involves a Jaguar that won’t start). Like the world around them, the characters of “Mad Men” have been allowed to change and evolve. Into its fifth season, “Mad Men” still continues down the dark abyss of American Dream, still exploring whether or not America really offers second chances. 2012 has been a rough year for “Community.” It got put on hiatus multiple times, it was nearly cancelled, it lost one of its stars (Chevy Chase), and the mastermind behind it all (Dan Harmon) was fired in what can only be seen as a network and a studio out of touch with the times. Even with all of the trouble in the real world, “Community” is like the Dreamtorium: a place to escape from reality and into the mind of one very strange individual. In its season three, “Community” was darker and more inventive than ever. It put the Greendale Seven into a videogame, a heist movie, and an Ed Burns documentary. In each of those, it was a stunningly faithful homage that brought depth to its richly created characters. “Community” is special in that the weirder it gets, the less it forgets about its characters. “Community” might not be made for everyone, but if you are not ever won over by Dean Pelton’s man-crush on Jeff, Troy’s innocence, or Britta’s ability to ruin everything, then you have no heart. “Community” wants fans, but season three seemed to display a show that cared less about getting high Nielsen Ratings (which, with the Internet, will soon be irrelevant) and more about telling good stories. “Community” includes some of the most innovative storytelling that we’ll never see again on network television. Not from the show, but this is one of my favorite bits from Louis C.K. This entry was posted in 30 Rock, Best of 2012, Breaking Bad, Community, Game of Thrones, Homeland, Lena Dunham, Louie, Louis C.K., Mad Men, Top 10 on December 19, 2012 by ian0592.